Anyone Else Experiencing Market Issues? 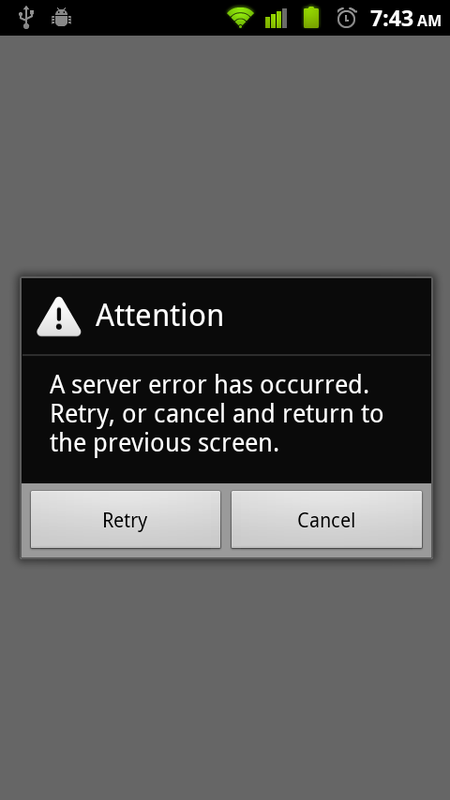 Anyone else receiving that message this morning when trying to access your “My Apps” section of the Android Market? According to our inbox, it seems like many of you are seeing the same thing including me. We haven’t heard an official word from any of our Googler friends, but we’ll be on the lookout. In the mean time, feel free to let us know if your market is playing nicely in the comments.